For the majority of the past several decades, there have been more pilots than open pilot positions. However, due to several factors including growth, a strong economy, and the greatest number of pilot retirements in the history of aviation, the landscape of commercial aviation has undergone a dramatic change. Now in the midst of a full blown pilot shortage, the aviation industry is asking itself the questions that, in hindsight, they should have been asking a decade ago. How can we attract more and better commercial pilots? 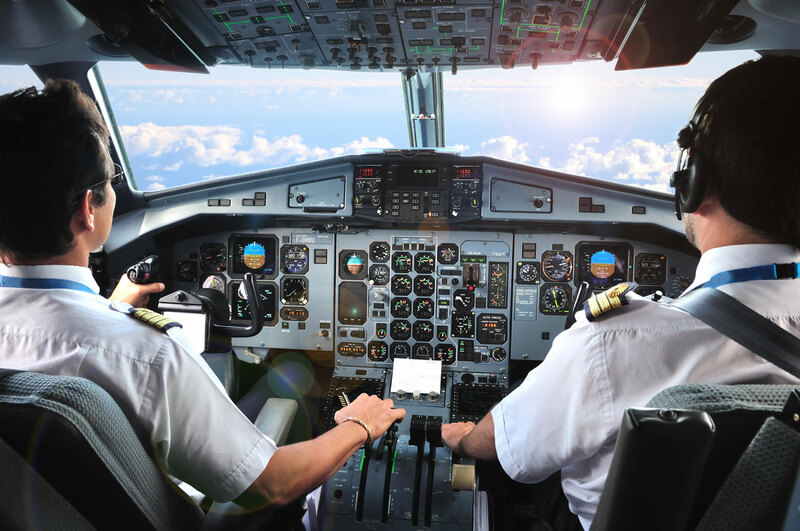 What types of compensation packages, benefits and work-life balance policies can help us recruit and retain the highly qualified pilots we need? The answers to these questions are critical and complex, and they will take years to work out as the industry adapts to a new and ever-changing landscape. The challenge of recruiting pilots is further complicated as carriers face the fact that, as they are dealing with attrition due to competition and retirement, they are now faced with the impact of hiring new, less experienced pilots to fill shortage gaps. This has a wide-reaching impact on operations, including critical training and safety concerns. The FAA has increased its focus on the importance of Upset Prevention & Recovery Training (UPRT). For example, regulations are now in place requiring all Airline Transport Pilots to receive UPRT and all Part 121 airlines to provide UPRT training by March of 2019. These measures are raising awareness among pilots across all sectors of aviation and the significant benefits of UPRT are being recognized by flight departments and individual pilots more than ever before. The goal of UPRT is to help pilots bring everyone home safely through training that mitigates the risk of Loss of Control In-flight (LOC-I). However, the benefits of UPRT extend even beyond this critical goal; a topic we will investigate further later in this article. Any pilot who has ever experienced a “close call” or unanticipated upset event knows the feelings of disorientation and confusion that can leave a lasting and unsettling impression. Unfortunately, many LOC-I related accidents are not just close calls, but result in fatalities. In fact, LOC-I remains the number one cause of fatal accidents in all sectors of aviation. UPRT provides pilots with the confidence that they will be able to prevent or overcome an unexpected airplane upset and safely and effectively maneuver their aircraft back into the normal flight envelope should an upset occur. Without adequate training to provide them with strategies to quickly assess the situation and take appropriate action, the possibility of successful avoidance of an upset or the successful recovery is severely diminished and the results can be catastrophic. As more pilots are becoming familiar with upset training and the benefits it provides, they are seeking out ways to obtain UPRT. While UPRT may be somewhat costly for individual pilots to bear on their own, the training is comparatively less expensive for flight departments, in terms of both money and time, than standard recurrent training. UPRT packs a considerable amount of intense and highly effective training into a few days. In other words, UPRT provides high training value in terms of its dollar-for-dollar benefit to safety and contribution to airmanship. Flight departments offering UPRT demonstrate a commitment to the highest standards of excellence and safety, and will be able to attract and recruit pilots who are likewise interested in safety and excellence as a pilot. As mentioned earlier, the current pilot shortage is forcing flight departments and air carriers to expand their hiring pool to include pilots who may be younger and less experienced. While general aviation training is excellent and has resulted in the lowest incidence of aviation related accidents and fatalities in history, standard licensing and simulator training is focused on operating within the normal flight envelope. We know that an experienced pilot is a key factor in successful flight operations, but experience outside of the normal envelope, where aircraft can end up in an upset situation, is not currently required by existing regulations. While rare, Loss of Control In-flight (LOC-I) is still the number one cause of fatalities across all sectors of aviation, and the impact of such an event has implications that are devastating in terms of lives lost and financial repercussions. Comprehensive UPRT provides pilots with specific training that not only mitigates the risk of LOC-I, but also utilizes and refines pilots’ overall manual handling skills. A key factor of properly executed UPRT is receiving the amount of training necessary to reach proficiency in the skills required to recognize, prevent and, if necessary, overcome an unexpected airplane upset. Pilots must receive training and practice in a wide variety of on-aircraft maneuvers and exercises that are effective in teaching pilots appropriate responses, which are often counterintuitive, and master maneuvering the aircraft safely under a set of highly targeted scenarios. Mastering these techniques provides mental modeling for a pilot to recognize an airplane’s flight path in an upset, and develops the pattern recognition that aids in recognizing an undesired aircraft state in order to take appropriate action to prevent it before it escalates. The most common thing we hear from pilots after completion of APS UPRT is that it is the best training they have experienced in their entire aviation career, and that they believe it should be required for all pilots. UPRT provides justifiable confidence in manual handling skills, and a strong foundation in all-attitude maneuvering that allows them to more effectively address any unexpected upset situation they might encounter. There are many reasons flight departments and air carriers strive for excellence in day-to-day flight operations. Safety is the key and critical goal of a flight department, but considerations such as the value a flight department brings to an organization, or an airline’s reputation with the traveling public are also highly important. Including UPRT as part of a flight operation’s recurrent training program communicates a commitment to a proactive safety culture as well as a guiding focus on the safety and well being of pilots and all who travel with them. An investment in UPRT shows an awareness and knowledge of current facts surrounding aviation safety and recommended best practices coming from aviation’s oversight agencies. The NTSB has listed LOC-I on it’s Top 10 Most Wanted List for over a decade, citing that nearly half of all general aviation accidents are caused by LOC-I, and it is responsible for more fatalities than any other accident type. Comprehensive UPRT is recognized as the safest and most effective way to mitigate the risk of LOC-I and is advocated by the FAA, ICAO, IATA and EASA. Most importantly, a training plan that includes UPRT demonstrates commitment to the safety of crews and passengers by providing the most effective training possible. A well defined, trained and standardized response to the LOC-I threat increases pilots’ confidence in their own training and the safety of the organization as a whole. Taking advantage of UPRT helps organizations attract highly-skilled, safety minded pilots, and affords them the confidence that comes from knowing their pilots are among the most well trained in the industry.